Cars 4 Heroes – CARS WANTED! 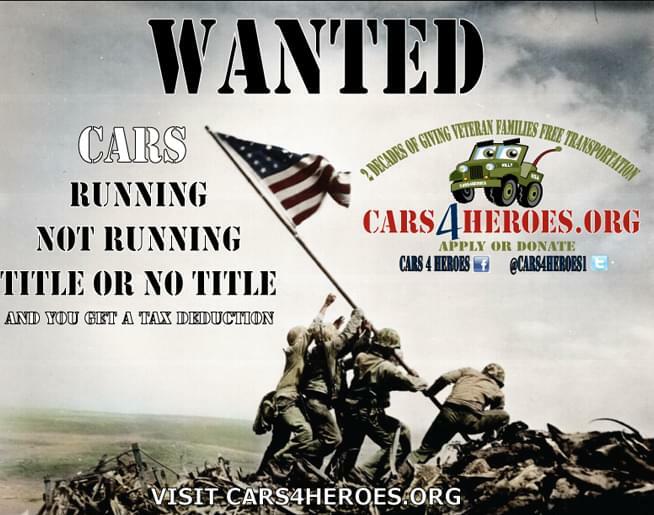 Cars 4 Heroes is looking for vehicles to change a veteran’s life! This amazing organization was started to provide free basic transportation to less fortunate individuals and families who are not able to obtain it on their own in any other way. Today’s world demands that the average individual have personal transportation. This has in-arguably been the case across the US for several decades as Americans have based important family, career and overall life decisions and activities on the ability to transport themselves.